Alec’s little friend Rebecka recently turned two. When we asked what she would like for her birthday, her mum told us that she likes crafting. So we decided to make Rebecka a playdough gift box. First we made a gift box for the set. I found fabric and wax cloth in a sweet green with white polka dots and I had some champagne ribbon left from our wedding. I used the same easy technique as I did here (to cover bins for the changing table) to cover a gift box and lid with the fabric. 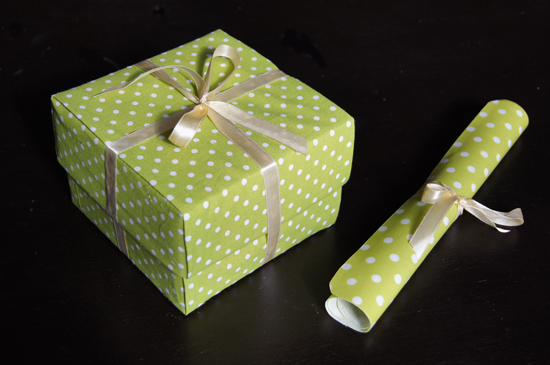 I attached the ribbon so that it’s easy to tie it when you close the box so it always looks like a little wrapped present. And we cut out a big piece (about the size of a place mat) of the matching wax cloth and just rounded the corners to make a mat surface to play on. 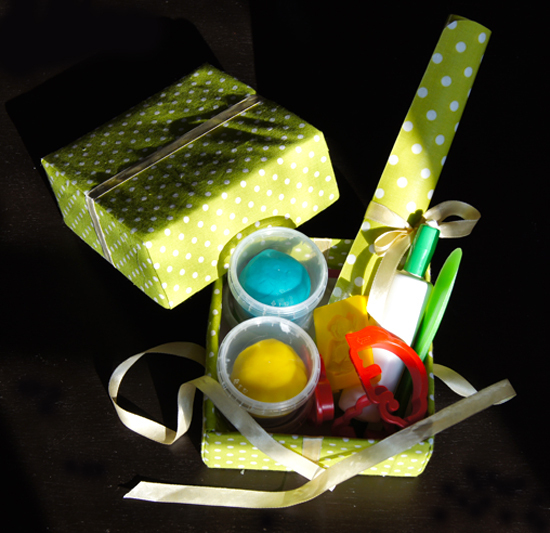 We filled our gift box with homemade playdough (click here for our easy playdough recipe – it’s the best! 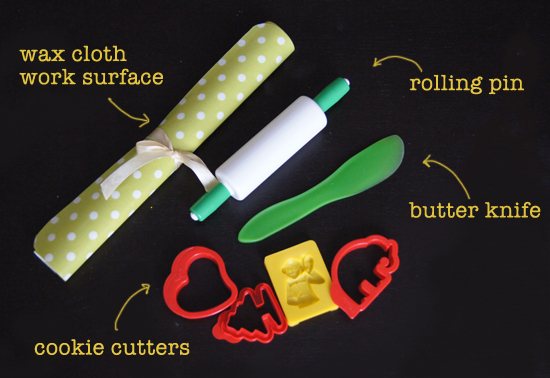 ), the mat, some plastic cookie cutters and molds, a little rolling pin and a butter knife (which is Alec’s tool of choice when he is “working” with playdough). We made four colors of playdough and put them in little airtight containers. We have a great playdough recipe – it makes a soft, pliable dough in bright colors that keeps really well. Alec was proud to hand over our homemade play doughgift set to Rebecka and we hope she has had a great time playing with it!